The Board of ASX is ultimately accountable to shareholders for the performance of ASX. It is responsible for overseeing the conduct of the affairs of the Group, consistent with the Group's licence obligations and public policy objectives directed at financial market and payments system integrity. 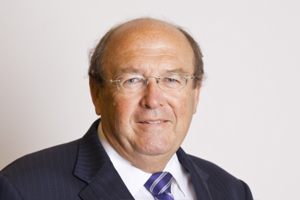 Mr Rick Holliday-Smith has served as Chairman of ASX since March 2012, and as a director since July 2006. He was previously Chairman of SFE Corporation Limited from 1998 until 2006. Mr Holliday-Smith is Chairman of the Nomination Committee and the intermediate holding companies of the ASX clearing and settlement facility licensees. He is also a member of the Audit and Risk, and Remuneration Committees. Mr Holliday-Smith has global executive and leadership experience in capital markets and derivatives, and a background in venture capital activities. His previous roles include CEO of futures and options trading firm Chicago Research and Trading (CRT), President responsible for global trading and sales at Nations Bank-CRT (a predecessor of Bank of America), both based in Chicago, and Managing Director of Hong Kong Bank Limited (a wholly owned merchant banking subsidiary of HSBC Bank), based in London. Mr Holliday-Smith was appointed Chairman of Cochlear Limited in July 2010, having joined the Board in March 2005. He has been a director of Servcorp Limited since October 1999 and is a Member of the Macquarie University Faculty of Business and Economics Advisory Board. Mr Dominic Stevens was appointed Managing Director and CEO of ASX Limited in August 2016. He was an independent non-executive director of ASX from December 2013 until his appointment as CEO. Mr Stevens is a director of ASX Group clearing and settlement licensees and their intermediate holding companies. 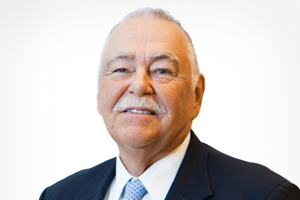 Mr Stevens has over 30 years’ experience in financial markets. He was CEO of Challenger Limited from 2008 to 2012, before which he was the company’s Deputy CEO and head of capital, risk and strategy. Prior to Challenger, he held senior positions during a long career at Bankers Trust Australia, where he had responsibility for the Australian derivatives and global metals and agricultural commodity derivatives businesses. Ms Yasmin Allen was appointed a director of ASX in February 2015. She is a member of the Audit and Risk Committee. Ms Allen is also a director of ASX Clear (Futures) Pty Limited and Austraclear Limited, the ASX Group clearing and settlement licensees for Australia’s derivatives, OTC and debt markets, and their intermediate holding companies. Ms Allen has extensive financial services, strategy and corporate governance experience, gained during a career of over 20 years in finance and investment banking. She was formerly a vice president at Deutsche Bank, a director at ANZ Investment Bank and an associate director at HSBC Group. 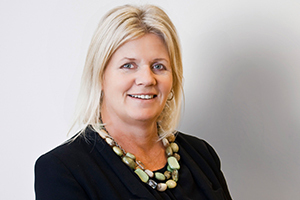 Ms Allen was appointed a director of Cochlear Limited in August 2010 and Santos Limited in October 2014. Ms Allen’s previous appointments include director of Insurance Australia Group Limited between November 2004 and September 2015. Ms Allen is also Chairman of Advance, a director of the George Institute for Global Health, the National Portrait Gallery and a member of the Australian Government Takeovers Panel. Ms Melinda Conrad was appointed a director of ASX in August 2016. She has over 20 years’ experience in business strategy and marketing, and brings skills and insights as an executive and director from a range of industries, including retail, financial services and healthcare. Ms Conrad has been a strategy and marketing adviser, an executive with Colgate-Palmolive, and founded and managed a retail business. She was appointed a director of Stockland Corporation Limited and Stockland Trust in May 2018 and Caltex Australia Limited in March 2017. Ms Conrad’s previous appointments include a director of OFX Group Limited between September 2013 and September 2018, David Jones Limited between July 2013 and August 2014, APN News and Media Limited between January 2012 and February 2013 and Reject Shop Limited between August 2011 and June 2017. Ms Conrad is also a director of the Centre for Independent Studies and the George Institute for Global Health, and a member of the ASIC Director Advisory Panel. 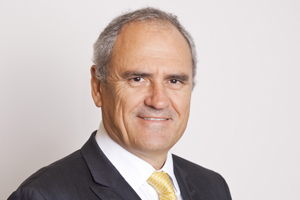 Dr Ken Henry was appointed a director of ASX in February 2013. He is a member of the Audit and Risk Committee. Dr Henry is a director of ASX Clear Pty Limited and ASX Settlement Pty Limited, the ASX clearing and settlement licensees for Australia’s equity markets, and their intermediate holding companies. Dr Henry has extensive experience as an economist in Australia and overseas, and has worked as a senior policy adviser to successive Australian governments. Dr Henry served as the Secretary of the Federal Department of the Treasury from 2001 to 2011. He is Chairman of the Sir Roland Wilson Foundation at the Australian National University, Governor of the Committee for Economic Development of Australia (CEDA), and a member of the Advisory Board of the John Grill Centre for Project Leadership at the University of Sydney. Dr Henry has been Chairman of National Australia Bank Limited since December 2015, having joined the Board in November 2011. 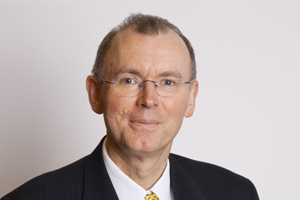 Mr Peter Marriott was appointed a director of ASX and Chair of the Audit and Risk Committee in July 2009. He is a director of each ASX clearing and settlement facility licensee and their intermediate holding companies. Mr Marriott has spent over 30 years in senior management roles in the finance industry, spanning international banking, finance and auditing. Mr Marriott was Chief Financial Officer of Australia and New Zealand Banking Group Limited (ANZ) from 1997 to May 2012. He also spent two years as Group Head of Risk Management. Prior to his career at ANZ, he was a partner of KPMG Peat Marwick specialising in the banking and finance, and information technology sectors. Mr Marriott was appointed a director of Westpac Banking Corporation in June 2013 and is a member of the Council of Monash University. Mrs Heather Ridout was appointed a director of ASX in August 2012. Mrs Ridout is also Chair of the Remuneration Committee, and a member of the Nomination Committee. Mrs Ridout is a company director with a long history as a leading figure in the public policy debate in Australia. She was formerly Chief Executive of the Australian Industry Group, a major national employer organisation representing a cross-section of industry including manufacturing, construction, defence, ICT and labour hire, until April 2012. 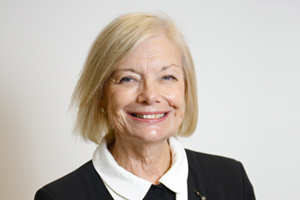 Mrs Ridout was appointed Chair of the AustralianSuper Trustee Board in May 2013, having joined the Board in 2007. She has also been a director of Sims Metal Management Limited since September 2011 and a director of the Australian Chamber Orchestra since December 2012. Mrs Ridout was appointed as a Director of AustCyber – The Australian Cyber Security Growth Network in July 2017. Mrs Ridout is a member of the ASIC External Advisory Panel. Mrs Ridout’s previous appointments include member of the Board of the Reserve Bank of Australia from February 2012 until February 2017, Infrastructure Australia, the Australian Workforce and Productivity Agency, a member of the Henry Tax Review panel, the Climate Change Authority and the Prime Minister’s Taskforce on Manufacturing. 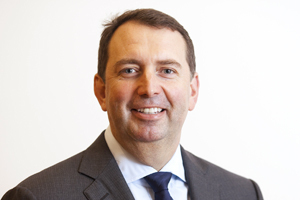 Mr Damian Roche was appointed a director of ASX in August 2014. 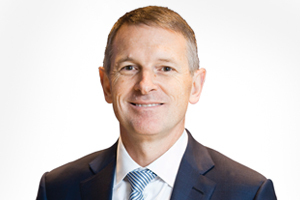 Mr Roche is also Chairman of ASX Clear (Futures) Pty Limited and a director of Austraclear Limited, the ASX Group clearing and settlement licensees for Australia’s derivatives, OTC and debt markets, and their intermediate holding companies. Mr Roche has 20 years' experience in global investment banks, with extensive cross-asset class expertise spanning the equities, fixed income and commodities markets, with a specific focus on the Asia Pacific region, including Australia. Mr Roche was a member of the global Corporate and Investment Bank Operating Committee for J.P. Morgan. His most recent role at the bank was as Head of Markets and Investor Services, Sales and Distribution for Asia Pacific, based in Hong Kong. Mr Peter Warne was appointed a director of ASX in July 2006. He was previously a director of SFE Corporation Limited from 2000 to 2006. He is also a member of the Audit and Risk, Nomination and Remuneration Committees. Mr Warne is a director of ASX Clear (Futures) Pty Limited, the ASX clearing and settlement licensee for Australia’s derivatives and OTC markets, and Chairman of Austraclear Limited, the securities settlement facility licensee for Australia’s debt and OTC markets. He is also a director of their intermediate holding companies. Mr Warne has over 30 years’ experience in financial markets and brings a deep practical and technical understanding of debt, equities and derivatives markets, and risk management. Mr Warne is a director of Securities Exchanges Guarantee Corporation and NSW Treasury Corporation. Mr Warne has been Chairman of Macquarie Bank Limited and Macquarie Group Limited since April 2016, having served as a director since July 2007. Mr Warne’s previous appointments include Chairman of OFX Group Limited (formerly OzForex Group) between September 2013 and November 2016, Chairman of Australian Leisure and Entertainment Property Management Limited between September 2003 and May 2017, Deputy Chairman of Crowe Horwath Australasia Limited between May 2007 and January 2014, and Adjunct Professor at the University of Sydney Business School between November 2011 and November 2014.